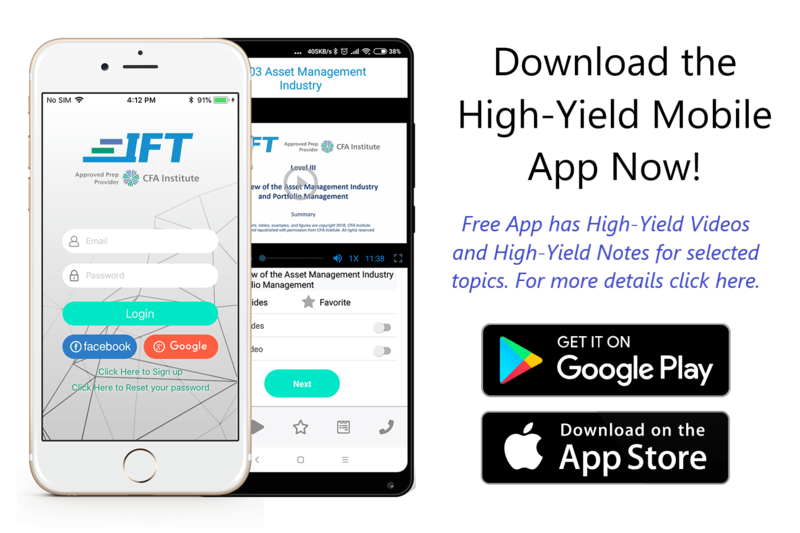 Start your exam preparation with the most popular CFA® Program exam prep videos on the internet! IFT videos are amazingly comprehensible. Students love the way Arif Irfanullah explains concepts. Start your free trial to see for yourself. If you want to continue with IFT, then choose a package which fits your needs and budget. 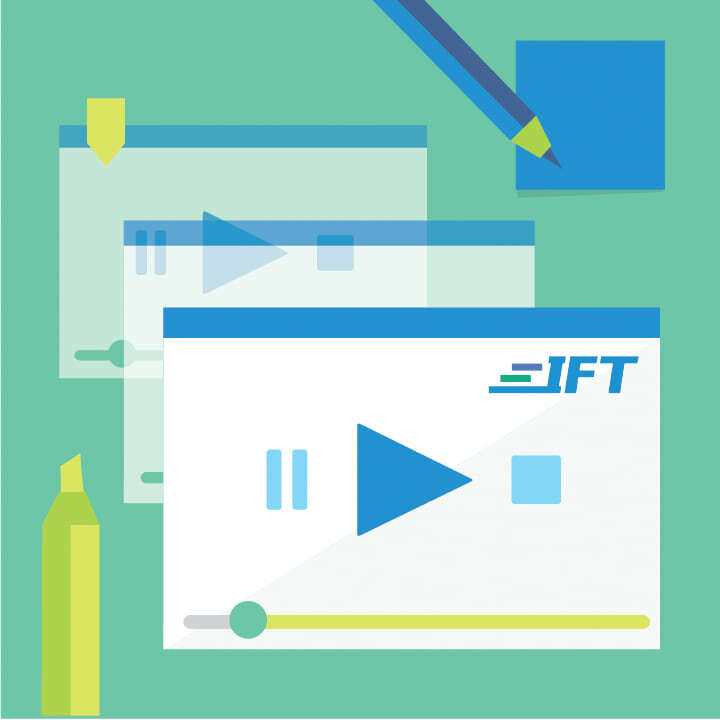 IFT packages are designed for self-study at your own pace and updated for 2019! New: Level I Basic Package is now FREE! See below for details. Over 100 hours of video including detailed lectures, summary lectures and examples. 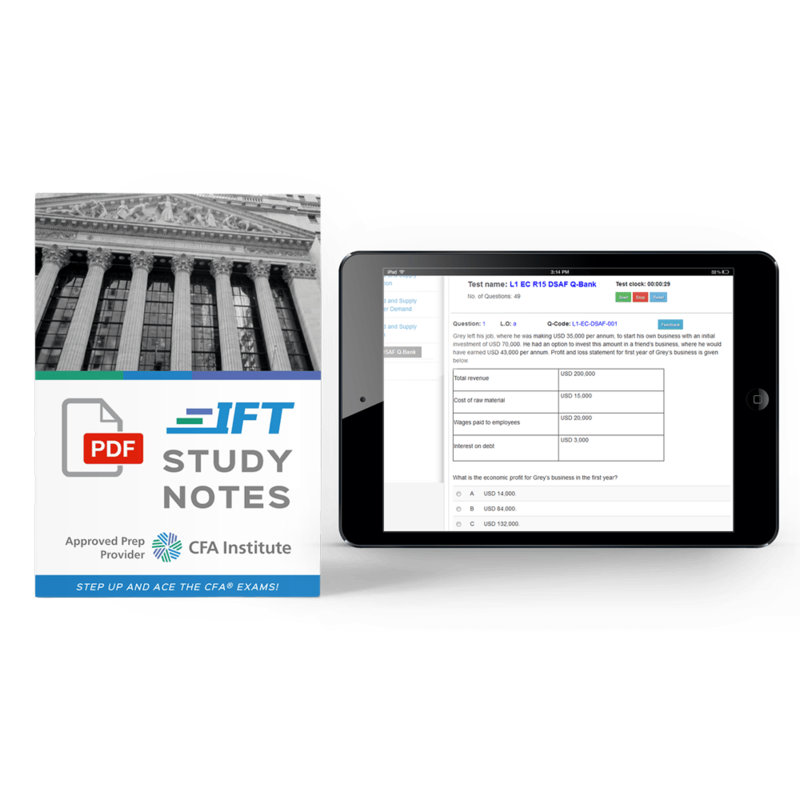 IFT Study Notes, Practice Questions and Mock exams will get you exam ready. 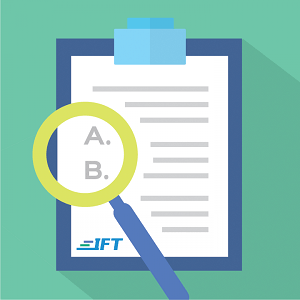 Why should you choose IFT to pass the Level I exam? Watch this video! This is your ultimate Level I prep companion. 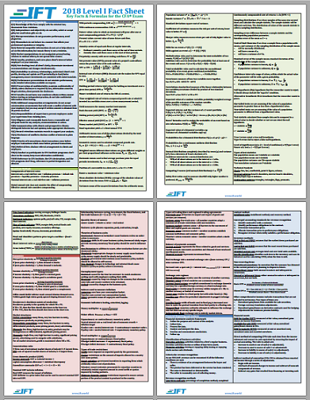 You will have all the IFT tools & services you need to ace the Level I exam! This is a FREE package! No strings attached! The entire Level I curriculum is covered in over 70 hours of detailed video lectures! 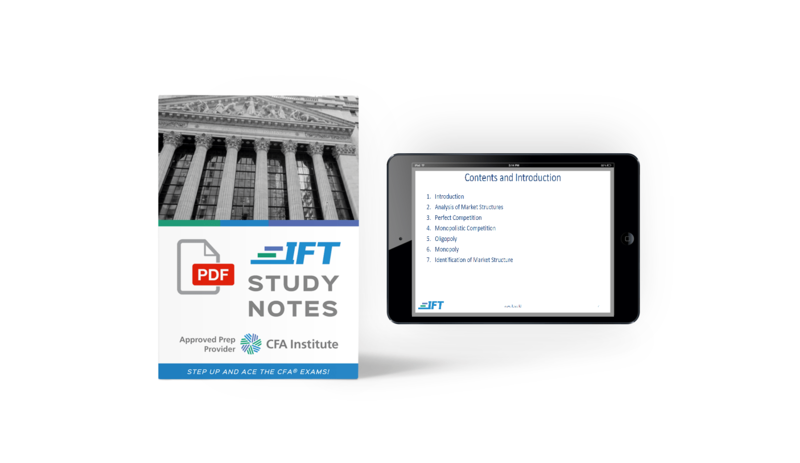 Paperback print edition of IFT Detailed Study Notes. Covering all LOS, Examples, Practice Questions and Summaries. In this popular package you will get the essentials needed to prepare for Level 1: Videos, Study notes, Question bank and topic exams. 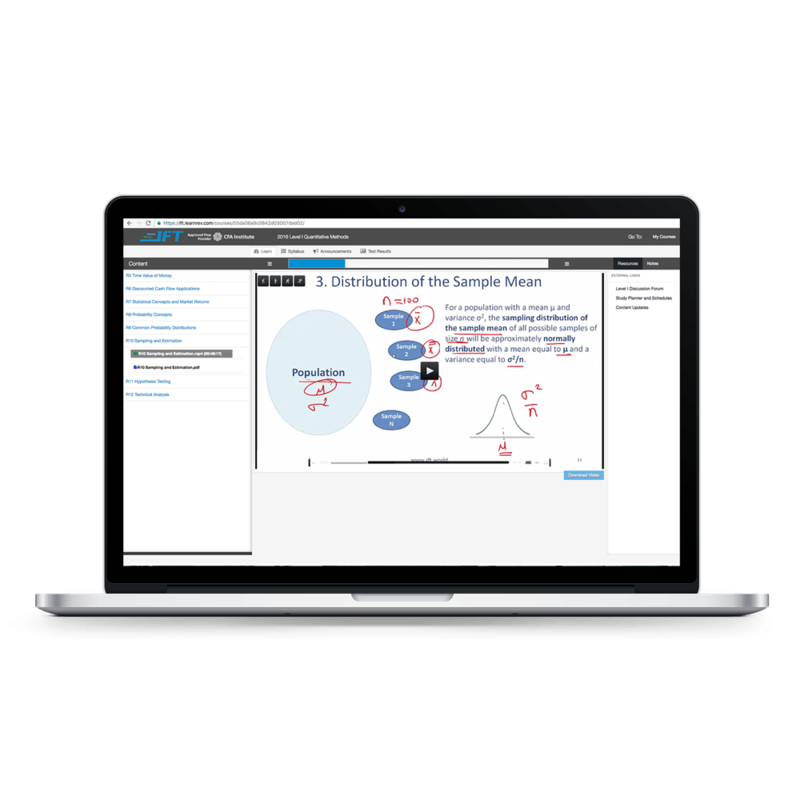 Complement IFT Detailed Videos with IFT Study Notes and printable Lecture Slides. 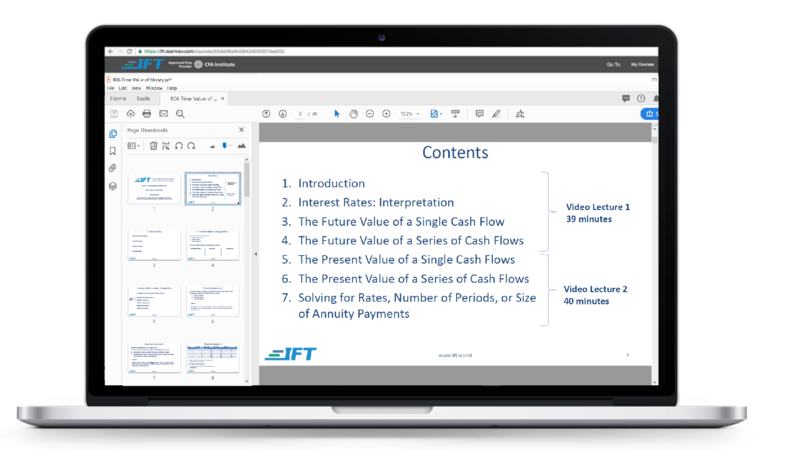 Complement IFT Detailed Videos with printable Lecture Slides. An Excellent and Affordable Add-on! 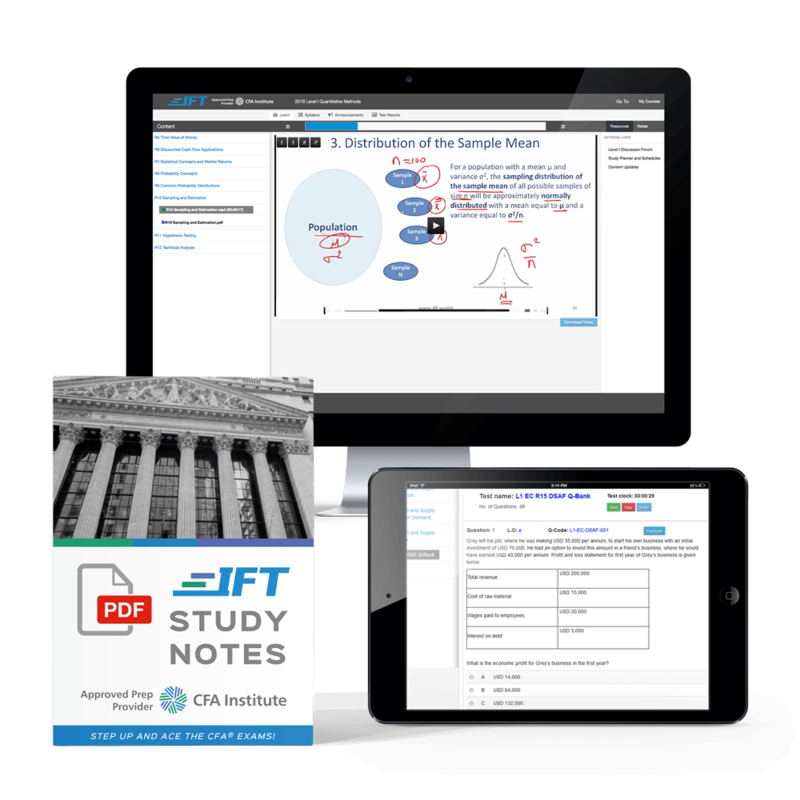 Prepare with comprehensive IFT study notes and examples. Test your concepts with the extensive question bank. Level I example videos present examples and their worked solutions. Get all the Level I important facts and formulas on this handy/printable document. Practice your concepts by doing questions using the question bank. Item is already in cart!